Everything you need, ready at a glance. 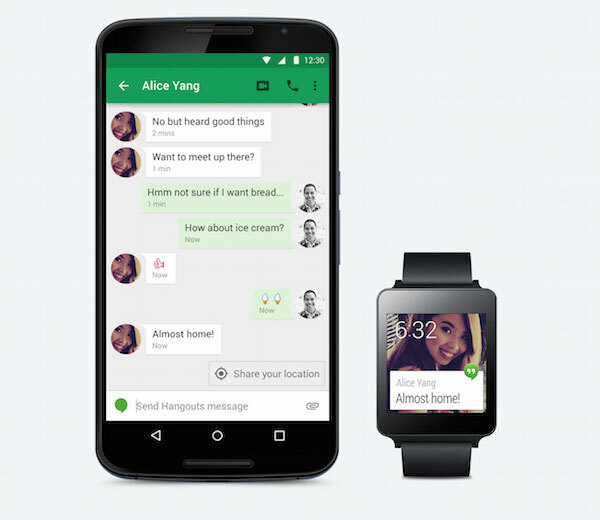 Android Wear extends the Android operating system to smart watches. 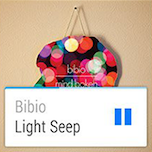 It shows your messages, notifications and other useful updates at a glance, so you can be connected but not distracted. 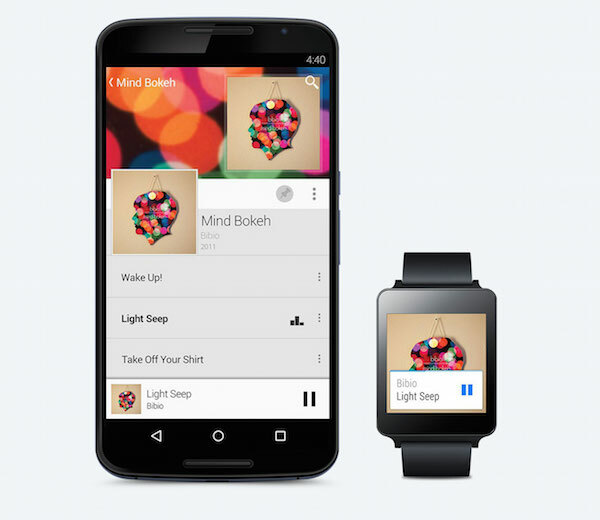 Android Wear connects your phone and tablet to your wrist. 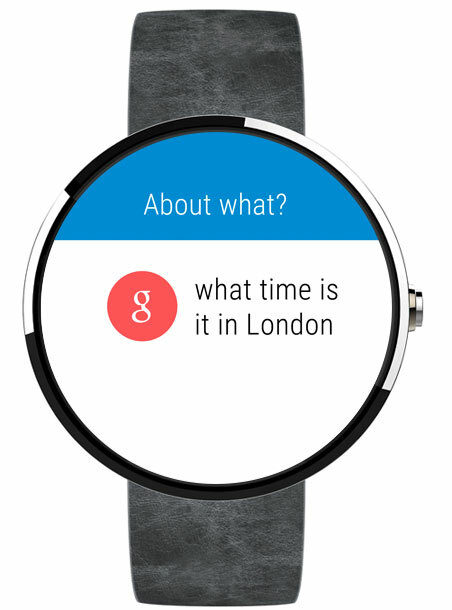 Just say “OK Google” to play and skip music tracks, pause a video or quickly respond to text messages from your watch. Wear works with phones running Android 4.3 or higher. 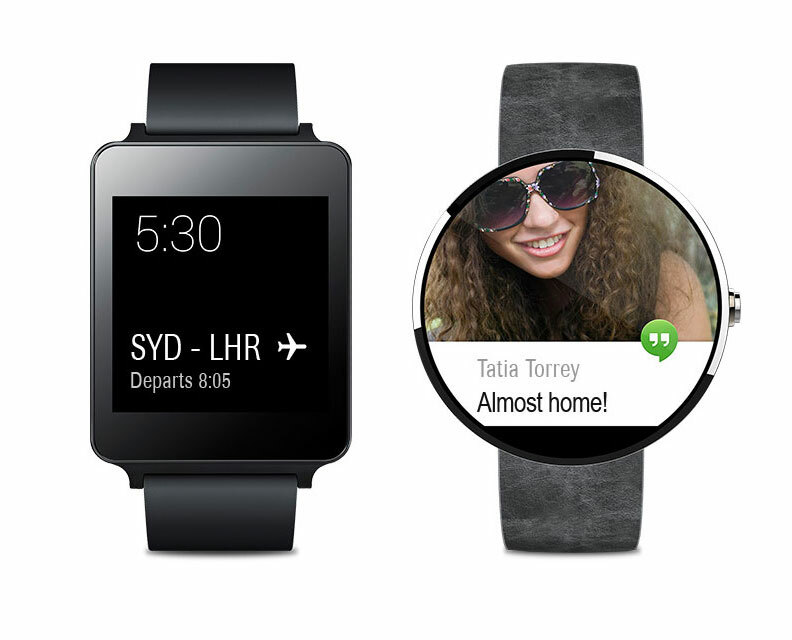 With Android Wear, you’re always up-to-date with what matters, wherever you are. You can be present in the moment, doing whatever you're doing with whoever you're with, and still be connected to the information you need. 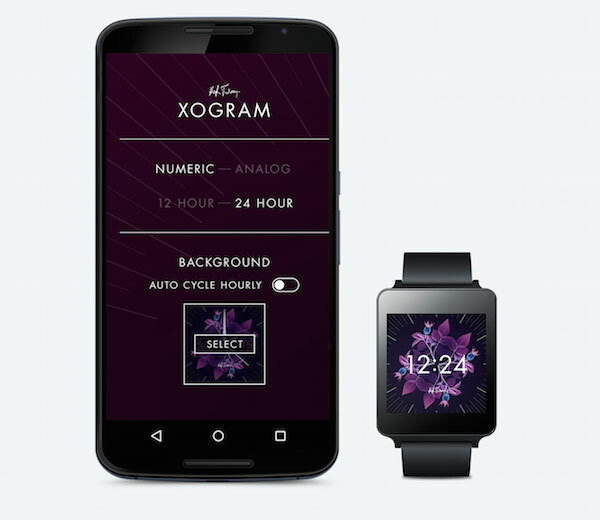 Avoid getting your phone out and glance at your watch instead. 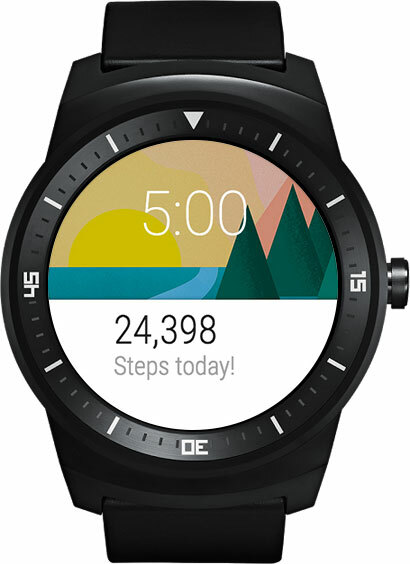 Android Wear organizes information, suggests what you're going to need, and shows it to you before you even ask, such as weather forecasts in the morning and flight time and gate information before leaving for the airport. 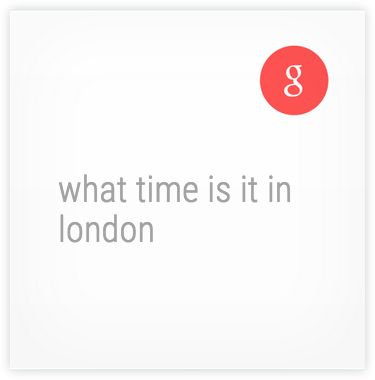 Just say "Ok Google" to ask questions, like how many calories are in an avocado, what time your flight leaves, and what’s the score of the Arsenal game? 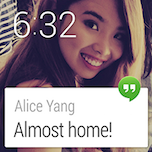 Say "Ok Google" to get stuff done, send texts, set alarms or even pause a video you’re casting to the TV. Keep track of your fitness with daily summaries showing your step count and heart rate. * And, if your watch has a GPS sensor, fitness apps can track your distance and speed without your phone. Go for a run or bike ride and leave your phone at home. 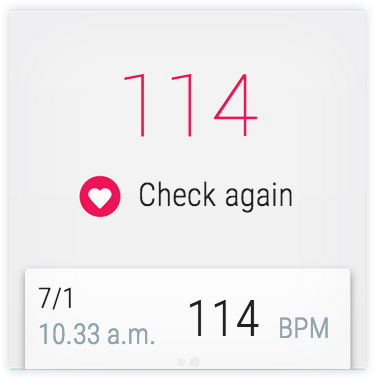 *Heart rate only available on watches with heart rate monitors. 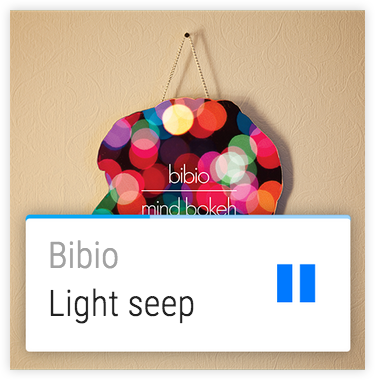 Pause, play and skip tracks straight from your smart watch. Listen even when you’re offline, without being connected to your phone. 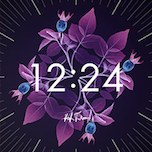 Choose the watch you like the best from a range of shapes and styles, and change its look whenever you want with downloadable watch faces. From knowing the weather before you start your day, to planning the best route to avoid traffic, or even checking your favorite team’s score while they’re playing, use Voice Search to bring you the information you want, when you need it. 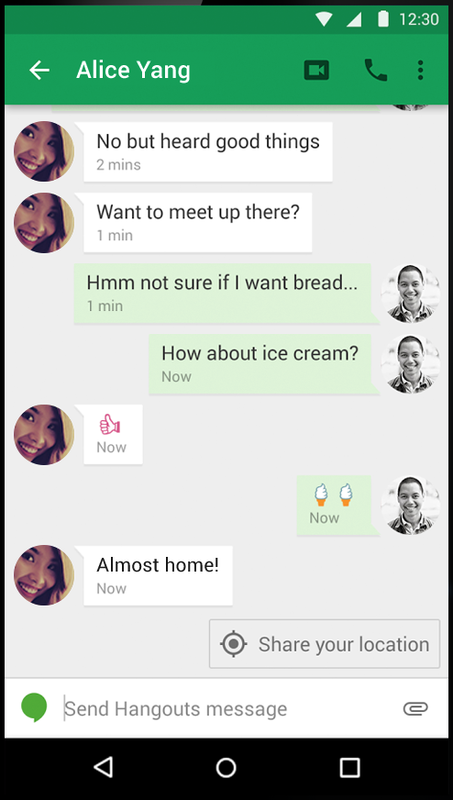 See who’s calling, or read and respond to texts, instant messages and emails as soon as they arrive. 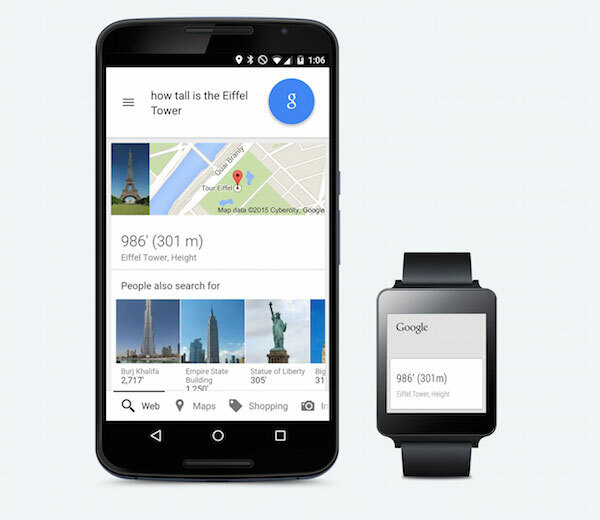 Get the time and location of your next appointment, and see updates from your existing Android apps. Best of all, do all this and more without ever taking your phone out of your pocket. 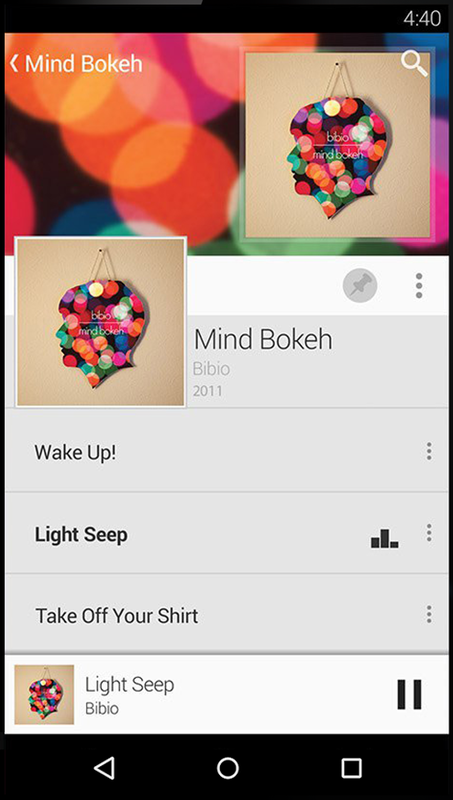 Play music offline Download your favourite albums and playlists to your watch and listen to them offline without your phone via Bluetooth headphones. 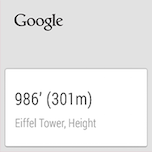 Get GPS support If your watch has a GPS sensor, fitness apps can now track your distance and speed without your phone. Go for a run or bike ride and leave your phone at home. 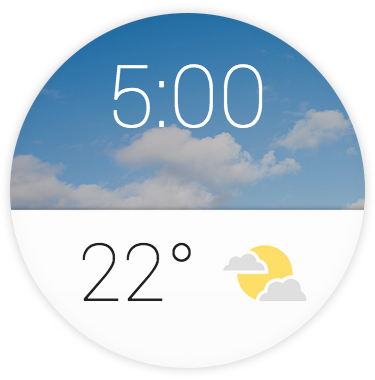 See weather Glance at the weather forecast when you get up in the morning. Check commutes See how long it will take you to get to work while you’re getting ready in the morning. 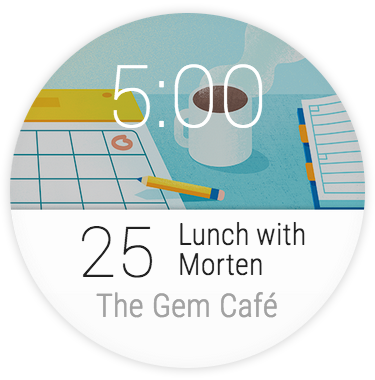 Get reminders The subject, time and location of your next appointment appear so you don’t have to check your diary. 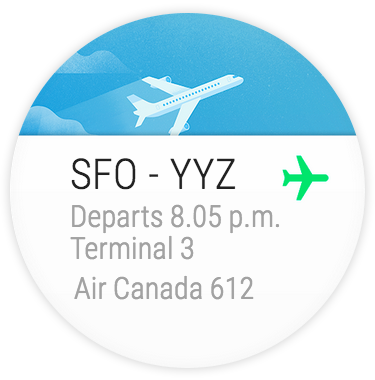 Track flights Your flight information appears before you go to the airport. 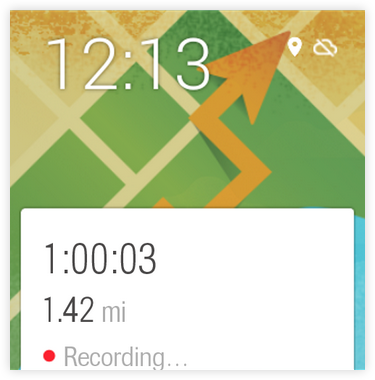 Track fitness Keep track of your activity with daily summaries showing your step count and heart rate. 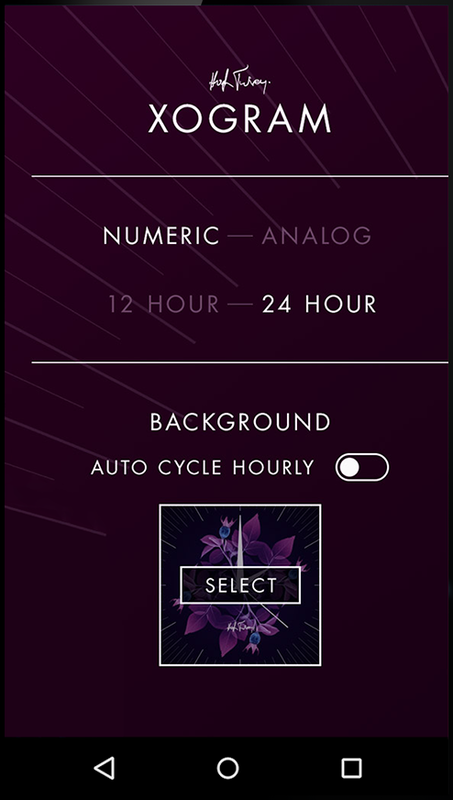 Stay connected See who’s calling or read texts, instant messages and emails as soon as they arrive. 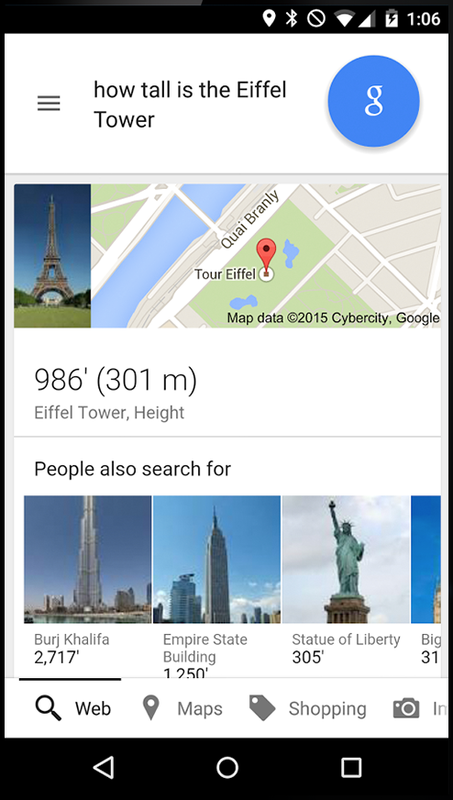 Use voice search Just say “OK Google” to get the information you need. Ask anything, like “Will it rain this weekend?” or “What time is it in New York?” or “How many calories are there in an avocado?”. 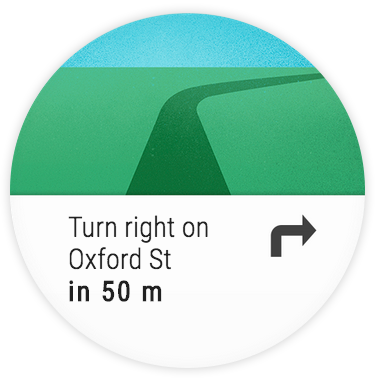 Start navigation Just say “OK Google, navigate to...” plus your destination to get turn-by-turn navigation. 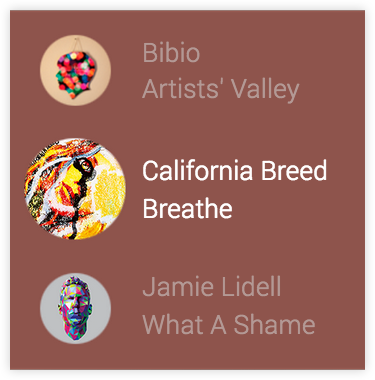 Control music Just say “OK Google play some music” to start listening from your phone, and pause, play and skip tracks on your watch. 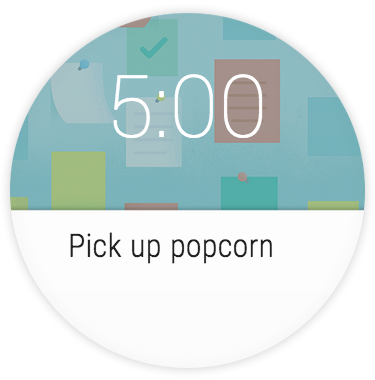 Set reminders Glance and say “OK Google” to set location-based or time-based reminders. 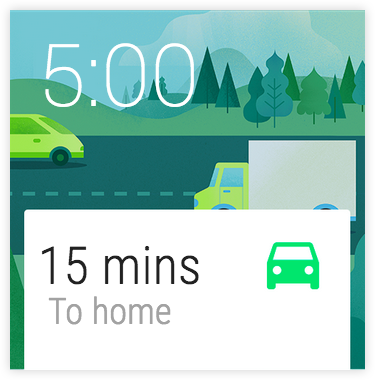 For example, “OK Google, remind me to pick up the plants when I get home. 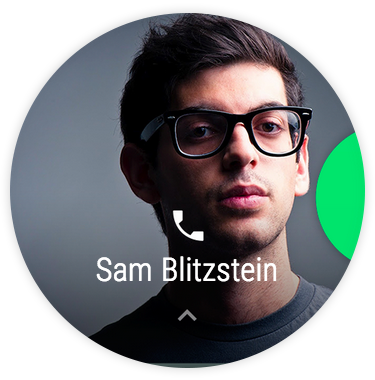 Need help setting-up your Android Wear? 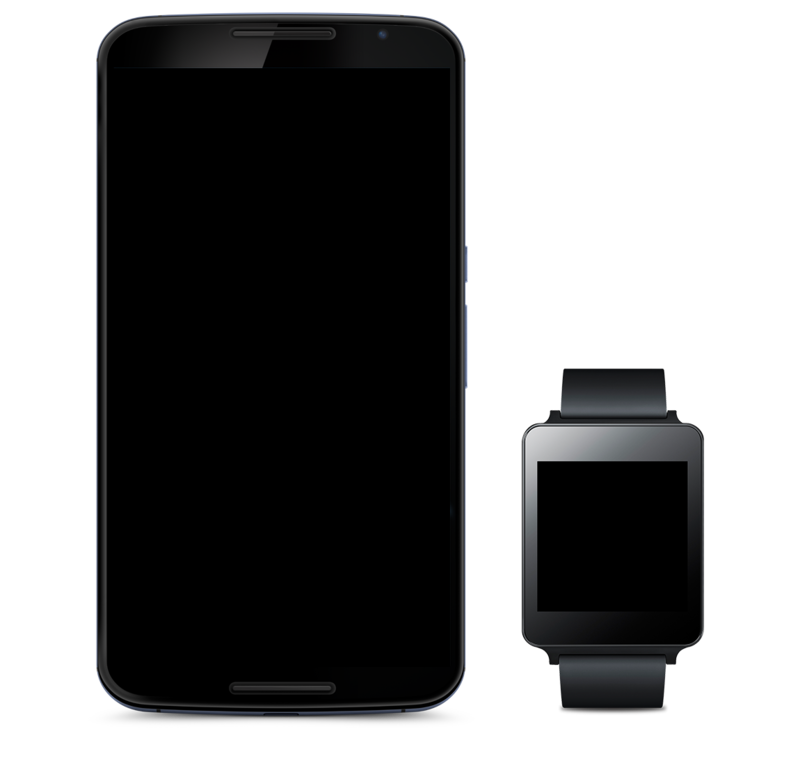 Visit our Android Wear Help Centre for answers to frequently asked questions, video tutorials and more.